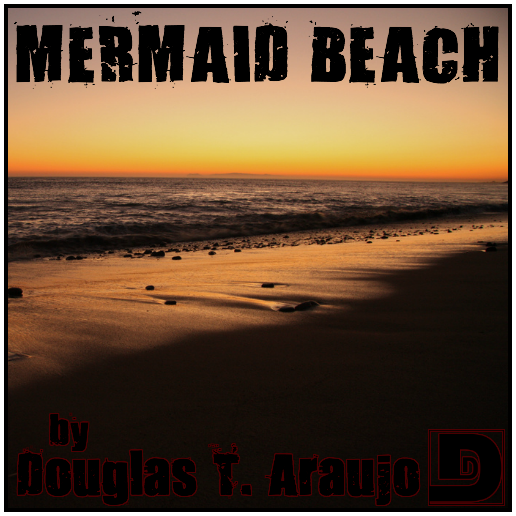 This entry was posted on October 18, 2009 at 10:05 pm and is filed under Douglas T. Araujo, Horror, Short Story. You can follow any responses to this entry through the RSS 2.0 feed. You can skip to the end and leave a response. Pinging is currently not allowed. This is very similar to the story you ran by Kevin Anderson – Halloween in July, and the other story about the couple who lost a child and then met a sea serpent on the beach. What is it with male specfic authors and fragile wives who break from reality like that? Riddle me that, Batman. I did enjoy it, although it seemed familiar. Basically we’re saying that if you write a story about a husband and wife where the wife has mental problems, and there are scary children and/or ocean waves . . . WE WILL RUN IT ON THE DUNESTEEF. Not me. Wait while I go write something. BRB. Would you accept a story where the kid doesn’t die but the wife dies horribly, over and over? Good story, though the prose was a little too florid for my taste. Big, your daughter has a great voice for doing creepy little kid ghosts. Big, your kid is an AWESOME ghost girl! Re: nurse’s scrubs – you’re just jealous because we get to wear pajamas to work. :D The OR scrubs are, at least, not garish, and I don’t have to wash them or buy them, so that’s win. Of course they never fit right, either. Can’t have everything. As for the 1960’s little white smock… LOL. What a ridiculous outfit for heavy labor! Better save that one for Halloween. Fear of the water – I’ve never been afraid of anything _in_ the water. I have my SCUBA license, and I’ve swum with sharks and rays and barracuda. I am afraid of drowning, though. I almost drowned as a kid in spite of my ability to swim – pulled underwater by a panicking friend. I feel anxious when I go too deep, and I do not like wreck dives. I have no desire to get my caving diving license. Nothing over my head but water, please. Even knowing that I have to do decompression stops makes me anxious because I can’t just…you know…flee to the surface! I thought the story was very well written. I enjoyed it very much. Excellent production of a good story. And, as always, I enjoyed the discussion. I particularly enjoyed the recording of song instruction/practice. Brought back memories of singing and such with my daughter. Wonderful show. Liked the story (and I know this is late, I’m just a little behind in listening). Wanted to make two comments. First, why do arms always feel like lead weights when you are swimming. I’ve never even seen a lead weight as big as my arm, but I’m sure that two of them would drag you to the bottom of the ocean rather quickly. A bit of a cliched analogy. Likewise, what is with so many evil monsters only having to eat once a year? Is it like a seasonal thing like Corn on the Cob, Cranberry Sauce, Christmas Goose or something where they eat fish the rest of the time but really get a hankering for human faces every July? Do human souls take 12 months to digest? I think these questions all deserve an answer. As far as the first question goes, having nearly drowned once in the Pacific, I’d describe the sensation as more like wooden weights anchoring my arms rather than lead. Maybe oak, perhaps spruce. For the second one, evolution has worked wonders on the monster kingdom, enabling them to lay dormant for extended periods of time. Of the nearly six hundred monsters interviewed, Doctor Hershell Rosenschweig found that 98% of them were content to relax, slumber, or play Sodoku for up to eleven months in a row, only surfacing the water, rising from crypts and graves, or emerging from closets once a year to feed. Furthermore, Dr. Rosenschweig found that the mating tendencies of said monsters was on a roughly bi-annual schedule. The one exception being the Sarlaac Monster, which has a digestion period of a full thousand years. His report noted, however, that the Sarlaac is nearly ALWAYS horny.